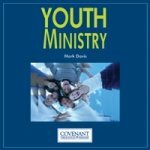 Covenant Seminary posted all their class lectures online in mp3 format to be downloaded free of charge, including their Youth Ministry course. If you’ve ever wanted to sit through a seminary youth ministry course for free, it couldn’t be any easier than this. Study guides in PDF format are also provided for free. Topics include forming your identity in youth ministry, understanding youth culture, developing a vision statement, building a ministry team, relational youth ministry skills, administration and more.